After creating my own Retropie, I built another one as a surprise gift for my friend Mark. Behold, the MegaPie! The parts list is the same as in my last post, but using a Sega Mega Drive skin. About a year ago, I built my own RetroPie, a Raspberry Pi retro gaming machine that runs just about every video game published more than 10 years ago. Perhaps you’d like to build your own? Here is how I built mine. 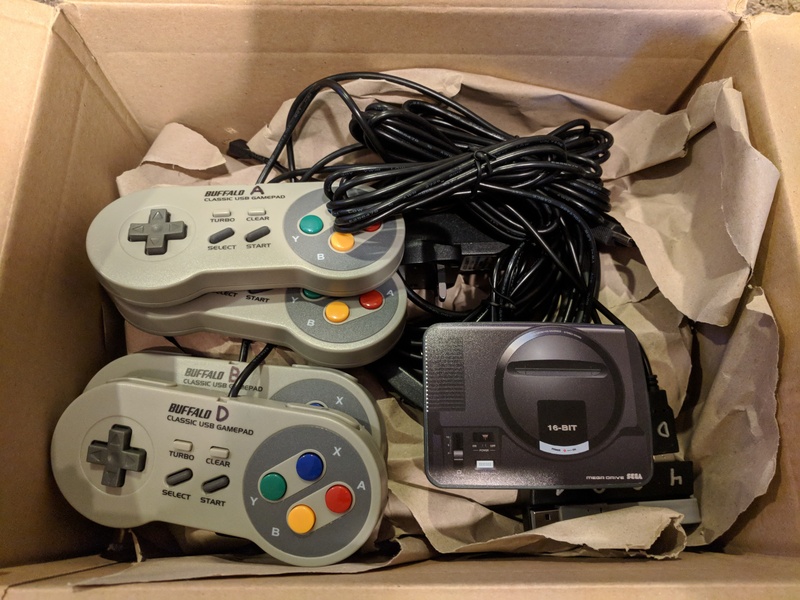 I use it to run games from the Arcade (MAME), Commodore 64, Famicom and Famicom Disk System, Game Gear, Game Boy (+ Color, Advance), Neo Geo, NES, PC Engine (+ CD), Sega Genesis/MegaDrive (+ CD, 32X), Sega Master System, SNES, and Vectrex. But it supports many more. The question of “who to trust with my personal/private data” comes up a lot when you work for Google. Caveats: I work for Google; you should consider my bias. I drunk the Kool-aid the day I accepted the job offer. These opinions are solely my own and do not reflect those of my employer. Habits are more effective than laws. When you consider to whom you should entrust your data – Google, Apple, Facebook, Microsoft, governments, etc – ask yourself what that entity’s record is on respecting your privacy and acting ethically. Not just “within the bounds of the law” but “does the right thing, even when it is hard”. I’ve temporarily fixed the SSL cert on tolaris.com by rolling back to an older still-valid cert that lacks some DNS names I don’t really need. In the next few months, I intend to upgrade this server and then configure Let’s Encrypt. I’ve had enough of manually dealing with SSL certs. Thanks to everyone who warned me that my SSL certificate is broken. I’ll find a new issuer soon. This happened because Google and Mozilla have distrusted my SSL issuer, StartSSL, for very good reasons. I was unaware of this action – StartSSL apparently took no effort to warn its customers – until the warning appeared in recent releases of their browsers. Shame on you, Wosign and StartSSL.